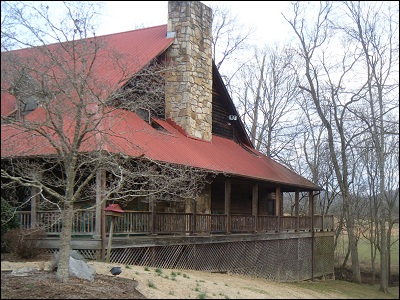 The Children’s Defense Fund purchased the former Alex Haley Farm intending to create an ideal setting for spiritual renewal, leadership training, and character development. They host organizations that affirm they will play a role in the CDF mission, and that agree to keep CDF Haley Farm as a smoke-free, drug and alcohol-free, violence-free, hate-free, loving environment in doors and outdoors. The facility connects young leaders and activists with the glorious heritage of the struggle for freedom, and is where policy makers and community builders come to connect, recharge their spiritual and physical batteries, and brainstorm strategies. 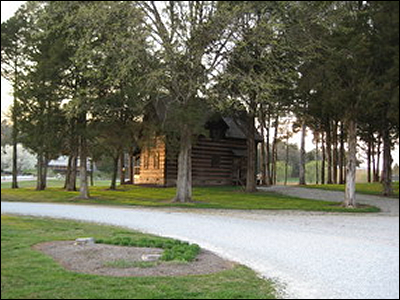 Haley Farm is a beautiful 157-acre farm that once belonged to Pulitzer Prize-winning author Alex Haley. 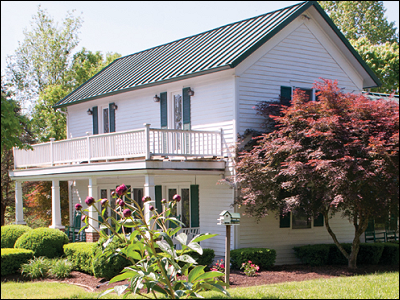 Purchased in 1994 by the Children’s Defense Fund, Haley Farm is a warm, welcoming countryside retreat consisting of guest cottages, chapel, meeting lodge and library. The facility connects young leaders and activists with the glorious heritage of the struggle for freedom, and is where policy makers and community builders come to connect, recharge their spiritual and physical batteries, and brainstorm strategies. The Children’s Defense Fund and its many programs have transformed Haley Farm into a vibrant training ground for the next generation of leadership, advocacy and service for children and families. Nestled in the foothills of the Tennessee mountains, Haley Farm is 30 miles outside of Knoxville in the city of Clinton, Tennessee. The late Alex Haley, famous author of Roots: The Saga of An American Family, made millions of people aware of a great heritage that had been denied them by the history books and the corrosive legacy of slavery. Today, the farm where he once lived is connecting young leaders and activists of all ages and races and faiths with the glorious heritage of the struggle for freedom they carry on—because the Children’s Defense Fund (CDF) and Black Community Crusade for Children (BCCC) are transforming it into a living, breathing training ground for the next generation of leadership, advocacy and service for children and families. Haley Farm houses several important programs for CDF, including Freedom Schools and the Proctor Institute. The Freedom Schools are “inspired by the Civil Rights Movement’s Freedom Summer of 1964 when community leaders organized Black Americans to register to vote” (Haley Farm “Freedom”). The program has trained over 6,000 high school and college-age servant-leaders (people who serve first and then lead in order to increase service to institutions and individuals). These young leaders, in turn, teach “children ages 5 to 18 for six to eight weeks, integrating reading, conflict resolution, and social action in activity-based curricula” (Ibid.). The Proctor Institute was “established in 1995 with the goal of raising up men and women for the task of leadership within each faith tradition” and allows participants the opportunity to “explore how faith relates to children and advocacy; hear inspiring preaching; gain solid, up-to-date information on children’s needs; and acquire new skills and strategies to help children and strengthen families” (Haley Farm “Proctor”). The Langston Hughes Library is a private, non-circulating, 5,000 volume reference collection and reading room. 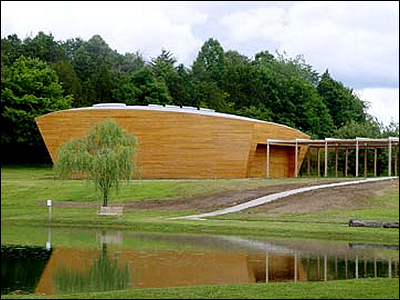 It is used by children’s advocates, spiritual leaders, educators, civil rights leaders, authors, illustrators, publishers, scholars, teachers, librarians and students who come to Haley Farm for training, leadership development, reflection and inspiration. The reading room is named after acclaimed poet and novelist Dr. Maya Angelou and renowned historian Dr. John Hope Franklin. A sitting area is dedicated to civil rights heroine Rosa Parks. The library was dedicated on March 19, 1999. Among the many distinguished guests present at the dedication were Dr. Maya Angelou, First Lady Hillary Rodham Clinton, Dr. John Hope Franklin, Nobel Laureate Toni Morrison, and United States Poet Laureate Rita Dove. The Library’s collection includes strong holdings in the following subjects areas: children’s literature by authors and illustrators of African descent and about the Black experience; child advocacy; African American culture, fine arts, history, and literature; spirituality; the Civil Rights Movement with particular attention to the role of women; and the history of non-violent social protest. In addition, the library includes the John Hope Franklin–Maya Angelou reading room, a Mrs. Rosa Parks sitting area, and a meeting room which can accommodate 75 individuals. Young people and all who come to Haley Farm for training and fellowship and able to conduct research; read about and meditate on great heroes, heroines, writers, and thinkers; and be exposed to the best quality children’s literature by authors and illustrators of African descent and on Black experiences. The Riggio-Lynch Chapel, dedicated on July 18, 2004, was made possible by the generosity of Barnes & Noble Chairman Leonard Riggio and his wife, Louise Riggio. After the events of September 11, 2001, Mr. Riggio felt the need to do something to establish a place for people to find comfort and peace and to be renewed and strengthened. The interfaith chapel is named in honor of Leonard Riggio and William (Bill) Lynch, former Deputy Mayor of New York City who are both former CDF Board members and long-time supporters of CDF. The chapel, which seats 250 people, resembles a huge ark carrying all of the world’s children to safety. The chapel’s simple, soaring shape evokes the ark of protection, the fishermen’s boats that figured in Jesus’ ministry and the small boat drawn by seven-year-old Maria Coté featured in the Children’s Defense Fund’s logo. 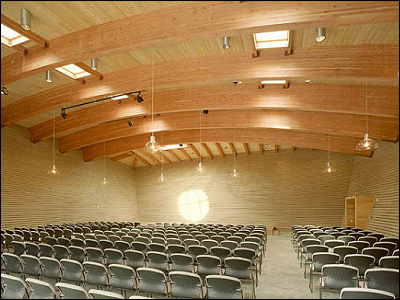 It is constructed of cypress siding with a fir roof, deck and beams. An open courtyard links the Chapel’s main structure to a smaller, concrete building, which houses an office wing, a meeting room and bell tower. This concrete block building, which is in such sharp contrast to the cypress exterior of the ark-like main building, was designed to resemble the type of building found in many shipyards where builders’ equipment and supplies are kept. Award-winning Vietnam Veterans Memorial designer Maya Lin, who also designed the Langston Hughes Library at Haley Farm, designed the Riggio-Lynch Chapel as well. Alex Haley had the Haley Lodge built in 1989 with fireplaces and wood floors, a superb kitchen, a recreation room with a pool table, and a large-screen color TV. It was here that Haley held his lavish parties, such as the one he threw for Oprah Winfrey in 1990. The dark-green awning hanging from the front entry proudly proclaimed “Haley Farm” in red lettering so that visitors would know exactly where they were. The upstairs area contains six bedrooms with private baths and one three-room suite. The downstairs area has a large meeting / dining area, a private dining room or boardroom, a comfortable sunroom known as the Comer Room, three bathrooms, and a large commercial style kitchen. Haley Lodge was the second structure erected on the Farm. You are encouraged and welcome to take advantage of the convenient lodging at the CDF Haley Farm where the atmosphere is very similar to a home type setting. Please note that the CDF Haley Farm is a smoke free, alcohol free, hate free, drug free, loving environment. If you request a single room, please be aware that you will have a room to yourself but will be sharing a house with other guests. Each house does have an iron, ironing board, refrigerator, and microwave, but participants will have to share these items. Towels, linens, and toiletry items are provided along with extra pillows and blankets. The housekeeping staff will replenish these items as needed. There are no televisions on the farm. They do however have wireless internet access as well as the business center for any computer needs. Computers are also available in the Langston Hughes Library on site. To reserve a room, please call (865) 457-6466. Availability will be on a first come, first serve basis. 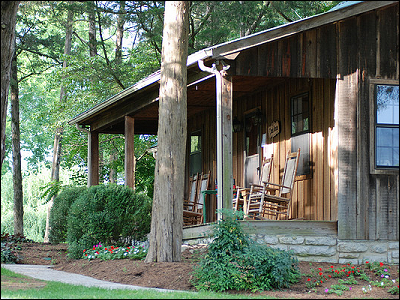 CDF Haley Farm pricing: Single room ($65) • Double occupancy ($40/person). According to Kathy Stooksbury-Long, Mr. Haley’s former housekeeper, the 1800s-era white farmhouse, originally consisting of one large room downstairs and two small rooms upstairs, had been unoccupied for 30 years where the animals roamed freely throughout it. The house had no kitchen, no electricity and there was no bathroom or plumbing. 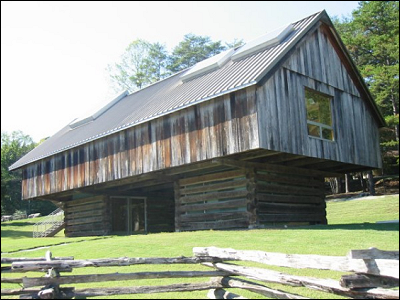 When Alex Haley was visiting the nearby museum in Roane County, Tennessee, The Museum of Appalachia, he purchased the log cabin from the museum owner where it was first disassembled, transported to his farm, and then reassembled on the property. During the remodeling process, a side addition was added to the cabin for another bedroom. The log cabin originally belonged to the family of the late Sam Rayburn (1882-1961) who served as the Speaker of the U.S. House of Representatives for 17 years. Sam Rayburn not only was born in the log cabin, but also learned to read at the kitchen table from his wife. A 15 July 2001 dedication ceremony was held at the Haley Farm where the log cabin was renamed The Bethune-Height House in honor of Dr. Dorothy I. Height and in memory of Dr. Mary McLeod Bethune (1875 – 1995). The ceremony was a part of CDF’s Torchbearers Symposium on the Role of Women in the Civil Rights Movement in honor of Dr. Height. Building A Dream: Mary Bethune’s School describes her struggle to establish a school for African American children in Daytona Beach, FL. Here is the Introduction that Alex Haley wrote for this book: “Nowadays, if you are of school age, going to school is the most ordinary thing in the world. But it wasn’t always so. For many Americans in the early 1900s, school was at best a dream. If you were poor, female, and black, it was something else as well. It was impossible. But some people dreamed anyway. Mary McLeod Bethune, who was poor, female and black, was one who followed her dream. And she shared it with others. This is her story. Dreamers like Mrs. Bethune gives us more than just what they have accomplished. They give us their example. By their example they teach us that dreaming is the first step in doing the impossible. So if you have a dream, live it. Make the impossible happen.” ~ Alex Haley. When Alex Haley sought out some wind-down time at his farm, the Duck House was his place of choice. Not only did Mr. Haley possess a general love for all animals, but he especially loved mallard ducks. As a result, he furnished and styled the house in mallard duck decor. The telephone inside the house not only looked like a duck, but it “quacked” instead of ringing. There originally was a screened-in porch with a hot tub prior to renovations that added an additional bedroom. David Stephens spent weeks at a time in the Duck House co-writing Queen: The Story of An American Family where he finished the novel after Haley’s passing. While Stevens benefited from the many boxes of research notes and a 700-page outline of the story left behind by Haley, he later mentioned that his writing was guided mainly by their many long conversations. A miniseries adaptation of that novel, called Alex Haley’s Queen, was based on the life of Haley’s grandparents and originally aired on CBS on February 14, 1993.